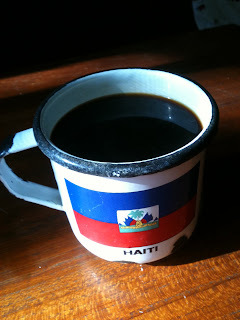 Haiti Next Door: TRY THIS: THE CUP IS HALF FULL ! I sure am tired of the deprivation model of Haiti, the victim mode, the bezwens of Haiti - not wanting to sugar-coat anything, or, uh, "whitewash" it, but looking at what Haiti HAS, and not what it Lacks, may be a mindset needed to build on, rebuild on. the cup is half full, dang it! Zo blood! Apologies in advance for some of my cynicism folks. It can get a little out of hand...or mouth, so to speak. But, let's face it: people EVERYWHERE understand, have a shared understanding, of what a hospital is and does, of what a schools is and does (or doesn't do), of what education is and means. And, there is general concurrence that these are good things. And, they are good ways, solid ways, in times of prosperity in donor countries, to fund projects in less-well of countries, i.e., much if not most of the rest of the world outside USA, parts of Europe, parts of Middle East, and select nations of Africa. These days, even the pitch for hospitals, clinics and schools does not seem to be doing much for Haiti. Yet. An article in the Miami Herald was excerpted recently, and quoted, "What Haiti needs is a major medical center in the Central Plateau that can serve complex medical cases. . . . Haiti cannot depend on and should not depend on aid groups to be able to provide medical care." 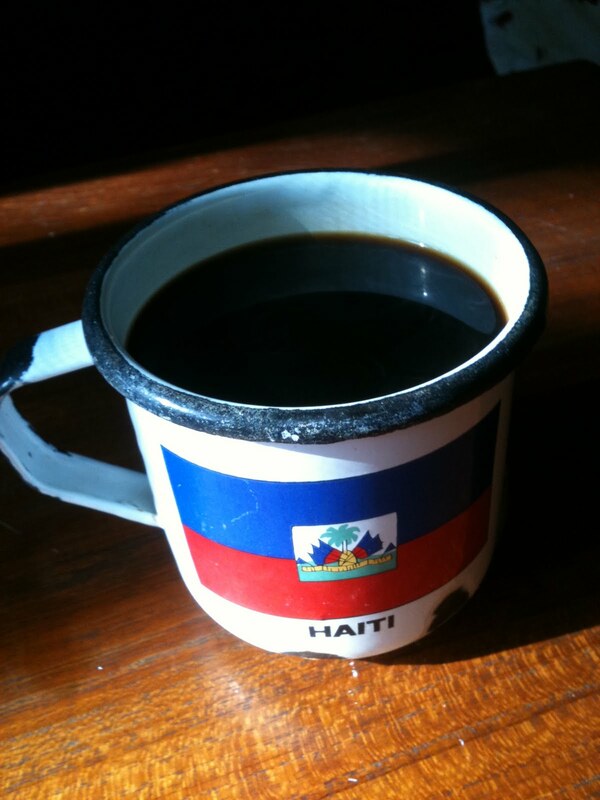 I like to write in terms of what Haiti HAS, rather than what Haiti NEEDS. The needs, the bezwens, could fill an ocean. You can't build on needs, or even presume to fill them. What you might be able to build on, to, er, capitalize on, are STRENGTHS. What Haiti HAS are a good sized rural population interested in being trained as "barefoot" doctors - or, "sandaled paramedics" let's say --- You have an enormously talented, bright, creative population andeyo, in the countryside, who CAN learn to support complex medical cases, and to handle less complex medical cases. Most of these young people (20 -35 ish) are literate. A center that supports them, trains them and has them fan out, providing transport for severe emergencies, would be better than a good idea. ** Someone with more than a vision, i.e., with the moyen, that is, lajan, money, some Haitian Paul Farmers, for example, might try to initiate such hubs, toupatou. There is a wealth of resources in the countryside, human capital. They are ready. Are you? Well said, a country's treasure is to be found in its human resources ; rather than looking for aid workers to provide complex medical care , I agree that Haiti should utilize the locals, who are interested in receiving training in the medical field..... self reliance is the name of the game! This venture will also generate jobs for the young people. malerezman, despite the wealth of human resources, they all need to be PAID, and that money needs to come from somewhere! There must be and INVESTMENT of capital to get the system moving - who will do that? I think it is up to the Diaspora to INVEST in Haiti - not just send remittances to their families, but to invest in schools, businesses, etc, an deyo. This inspired me to start this conversation with my Maman. "You think the training would take too long?" "I don't want to do it in any old way"
Keep on doing what you are doing as with proper guidance and funding you'll make even more impact! As a person of color I SO applaud your orientation here to concentrate on the assets, strengths of a people, instead of always focusing on their apparent victimization. It goes a long way in debunking the paternalism and noblesse oblige that keeps people in a subservient, powerless position and makes it impossible for you to ever see them as your equals, and even your superiors in some aspects of living. 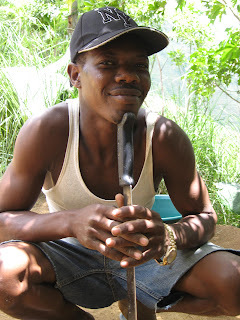 Big gratitude for this orientation to the problems Haitians are living with!